NYC Surgical Associates has offices distributed throughout the NYC metro area. Experience, talent and impeccable training are the hallmarks of the our surgeon’s – with education and training from some of the world’s most renowned institutions, including Mount Sinai School of Medicine affiliates (Morristown Memorial Hospital), Harvard University, and The Cleveland Clinic. NYCSA surgeons are represented on some of the nation’s most coveted “best of” lists, including America’s Top Surgeons and Marquis Who’s Who. NYC Surgical Associates has 5 office locations distributed throughout the NYC Metro Area. In addition to fully equipped and comfortable doctors’ offices, our surgeons have privileges at several ambulatory centers in both Manhattan and New Jersey affording the ultimate convenience for our discerning clientele wishing to avoid a hospital stay for their procedure. 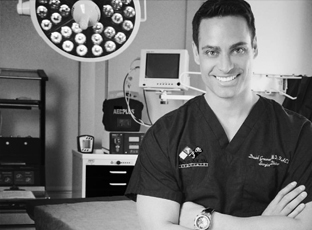 Dr. David Anthony Greuner is the managing director and co-founder of NYC Surgical Associates. He is a double board certified surgeon with over 10 years of experience. His post graduate residency training was performed at University of Arizona and Mount Sinai School of Medicine affiliate hospitals (Morristown Memorial Hospital) where he was named chief resident of the year, and won the Hughes Dougan award for dedication to patient care and excellence in surgical technique his chief year. Dr. Kerr is a board certified and fellowship trained Cardiovascular and Thoracic Surgeon with a career that spans two decades and a wide variety of advanced cardiovascular procedures and clinical research. His residency in General Surgery and Cardiovascular and Thoracic Surgery was performed at the Albert Einstein University School of Medicine Affiliated Hospitals, followed by an advanced clinical fellowship in Cardiovascular Surgery at the prestigious Cleveland Clinic. Dr. Kerr also performed advanced training in Surgical Critical Care and Trauma at Vanderbilt University, rounding out his expertise in comprehensive surgical care. He is a known international pioneer in minimally invasive cardiovascular surgery, authoring book chapters and presenting data nationwide on this topic. In his limited spare time, Dr. Kerr enjoys martial arts, triathlon training, and spending as much time as he can with his two children, Rebecca and Noah. Dr. Huang is a native of NANJING, China, and began his medical career in his native country, where completed his surgical training prior to pursuing additional training in the United States at Morristown Memorial Hospital (Affiliate hospital of Mount Sinai School of Medicine). Since his arrival in 1995 to the USA, Dr. Huang has expanded his horizons in academic medicine. He completed a postdoctoral fellowship at both the Medical College of Georgia and Columbia University, and was a staff researcher at Columbia University for over a decade. His clinical research experience spans over two decades, and he is active in continuing medical education to stay on the forefront of the most advanced treatments in minimally invasive vein surgery. Dr. Huang is the lead research physician at NYC Surgical, and helps ensure that our protocols and treatments are on the cutting edge of modern technology. Outside of medicine, Dr. Huang’s interests include photography, ethnic cuisine, badminton and volleyball. 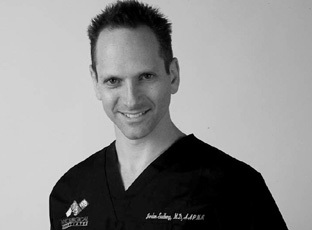 Jordan Sudberg, MD is formally trained in Physical and Neuromuscular Medicine and is a New York City native. His post-graduate medical training was performed at Staten Island University Hospital and North Shore-Long Island Jewish Hospital. Prior to his medical education he was a research scientist at Harvard University’s Massachusetts General Hospital and St. Vincent’s Medical Center in Manhattan, helping further understanding on tissue engineering and musculoskeletal disorders. In addition to his specialty specific training, Dr. Sudberg has undergone additional procedure specific training in nerve conduction studies and muscular diagnostics at Columbia Presbyterian University to perfect his skill set in this area. Dr. Sudberg speaks English and conversational Spanish, is a Certified Physical Trainer and Kinesiologist, as well as a USTA Tennis Instructor, as well as a former competition skier. His specific areas of interest and research are Sports Medicine and Muscular Disorders, specifically pertaining to the lower back and lower extremities. His expertise allows our practice to have the most modern and complete diagnostic testing for causes of leg, back and pelvic pain available at each center. Dr. Edelman is a New York City native, and began his medical career in the Ivy League at the University of Pennsylvania School of Medicine. 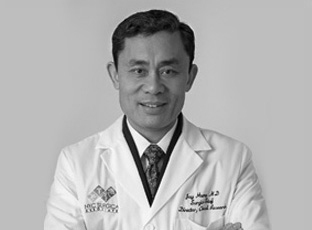 His extensive, surgical training was completed at Tulane University, The University of Pennsylvania, Montefiore Medical Center, and New York Presbyterian Hospital, where he was an active participant in research and advanced ultrasound techniques and evaluations. He has undergone advanced training in minimally invasive vascular techniques using ultrasound guidance with Dr. Greuner, and has a specific clinical interest in the use of therapeutic lasers for vascular procedures. His clinical research experience spans almost a decade, and he is active in continuing medical education to stay on the forefront of the most advanced treatments in minimally invasive vascular surgery. His clinical interests outside medicine include screenwriting, physical fitness, and basketball. 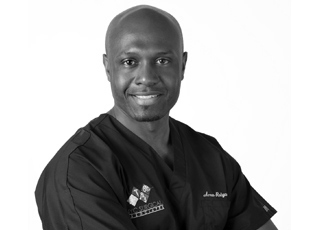 Arno Rotgans, MD is originally from Surinam, South-America. He completed both his undergraduate degree and pursued a Master’s degree in Biochemistry at the City College of New York. He then joined the US Army Service Corps and was the recipient of several Army medals and accolades. After his service in the military he completed his medical training at the University of Kentucky. He attended the University of Kentucky and the Albany Medical Center in New York for post graduate surgical training. Dr. Rotgans speaks fluent English and Dutch and some conversational Spanish. His academic and research interest include minimally invasive techniques in endovenous surgery. Outside of medicine he enjoys soccer, fitness and chess. 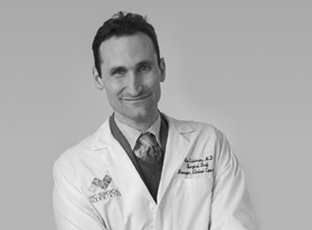 Dr. Rotgans is enthusiastic to start his clinical fellowship with NYC Surgical Associates.